Zulfugarov made the remarks at the conference entitled "Religious-ideological security and media" in Baku. “The representatives of foreign countries cite the relations between the state and religion in the country as an example,” he added. He stressed that there are certain, externally controlled threats to the religious stability in Azerbaijan. "However, Azerbaijan is a strong country and law enforcement agencies adequately cope with these threats,” Zulfugarov added. “Today we face such problems as aggravation of confrontation on religious grounds online, voicing of aggressive opinions, propaganda of harmful opinions on social networks. The certain work is being carried out in this sphere. The corresponding organizations take the necessary measures." 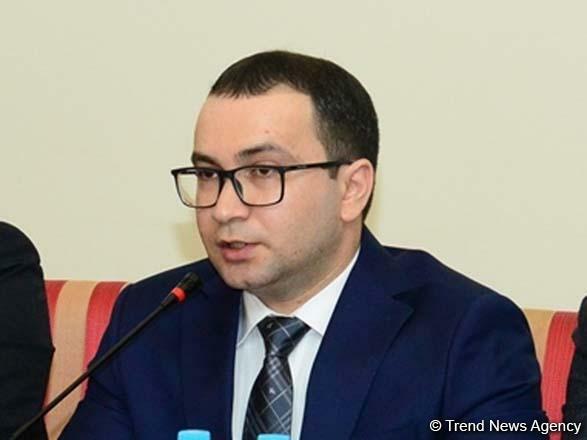 “The results of the monitoring show that radical groups oppose the ideology of Azerbaijanism, propagandize ideologies of external circles,” he said. "One of our main tasks is the joint struggle against these malicious groups." Zulfugarov added that a lot of work is being carried out to inform media representatives about religious issues.